With 5 weeks to go until the due date of my 6th child, I’m all in “nesting mode”! Since I’m planning a home birth (my first 3 were in the hospital, my last two at home) with a licensed and highly trained midwife and team, part of my “nesting” includes pulling together supplies for the birth itself. This will be the first birth in which I use essential oils therapeutically. In the past, I was just not aware of how powerful oils could be, so they did not figure into my birth plan. 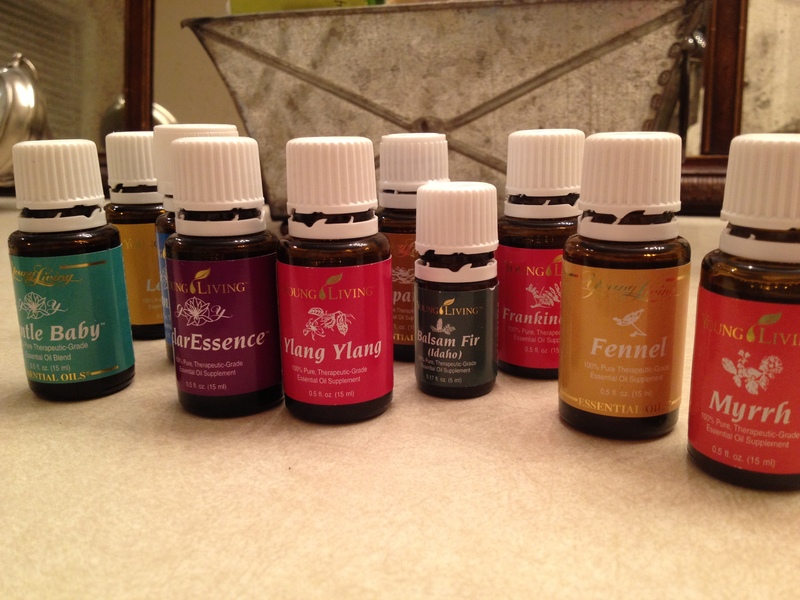 There is a wide range of purity and potency of oils; I will write about this sometime, but for now, know that I only recommend Young Living Essential Oils. Pregnancy: it’s important to recognize the power of oils; some oils used during labor are contraindicated during pregnancy, because their use is for supporting labor contractions, cervical dilation, and reducing pain sensation (through numbing or reducing fear/stress). Therefore, I will place an asterisk * after oils which I am avoiding touching/absorbing during pregnancy. I am currently drinking daily a pregnancy tea with a base of Red Raspberry herb. This was blended for me by my sweet friend, Cara Lee, following the recipe on The Bulk Herb Store plus yellow dock. This is intended to tone the uterus in preparation for birth, without initiating labor. I will use this topically on low belly, inside of ankles, and low back, starting with a few drops, increasing each hour if necessary. This blend does not have any morphine in it, but taken in a capsule it has been known to give significant pain relief. I plan to use this early in my labor, before nausea may set in. I have a history of long labors, so I often eat some through the first part (can be days), but when it gets intense I don’t feel like eating. This can be hours, so I have 1 bottle (25 oz) of Ningxia Red juice from Young Living…it’s a natural energy drink (among its other uses) made with wolfberries and EOs, and the normal serving size is 1-2 oz. So that should get me through! Note: I am not a doctor, and my birthplan does not constitute advice for your situation. I am not credentialed to diagnose, treat, or cure any disease. Please consult with your physician or trained midwife before developing your own birthplan.